The Nutcracker Ballet is such a classic holiday event. I can still remember the first time my Aunt took me to see the performance as a little girl. If you're wondering where to see The Nutcracker this year, this list of local performances should help! Tickets will most likely go fast, so if you are interested in attending any of these events, order your tickets today. 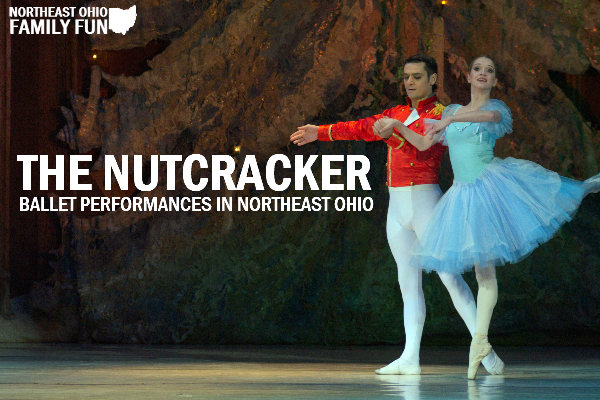 If you know of any Nutcracker performances we've missed, please submit the details here. Thanks! Thanks for letting us know. Adding it to the list. Danielle, the Ballet Theater of Ohio has asked people to buy tickets directly through the Akron Civic Theater rather than through any other broker. There are tickets left for all performances at regular prices through the Civic. Brokers are charging outrageous prices. Just don’t want people to get taken. Thank you for pointing that out! I included a link to the Civic for purchasing tickets. The Tuscarawas Dance Arts Center is performing the Nutcracker this Thursday – Sunday at the Performing Arts Center in New Philadelphia! Thank you! Adding the details now.